So you've arrived in Munich, Germany. Maybe your transportation of choice was by plane, train, or an at-the-last-possible-moment overnight bus ride from Italy (my personal choice), no matter, you made it. You're standing at the WILLKOMMEN arch and you realize that this is it. 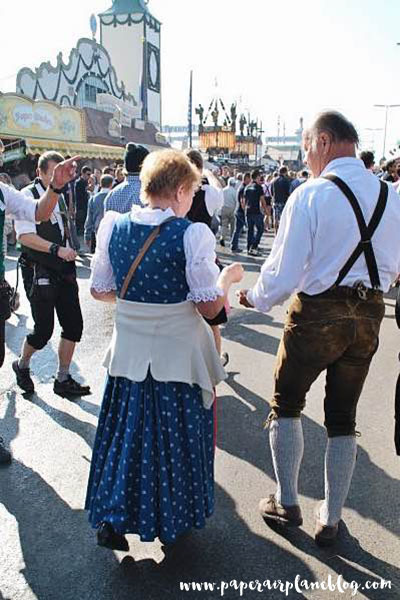 This is your once-in-a-lifetime chance to raise a stein (or two or three) at the one and only Oktoberfest in Munich. Mouthwatering wafts of bratwurst and freshly baked pretzels beckon you into the festival grounds. You take one look at the long procession of beer tents and, man, are you thirsty. They say that over six million festival goers consume close to two million gallons of beer in Munich for Oktoberfest and I don't doubt it. From the moment of entering the festival, the crowd all diverts towards one of 14 big tents. Each tent has a different theme and personality ranging from traditional and family-friendly to something that's a little more like one big party with 10,000 of your newfound best friends from all corners of the globe. 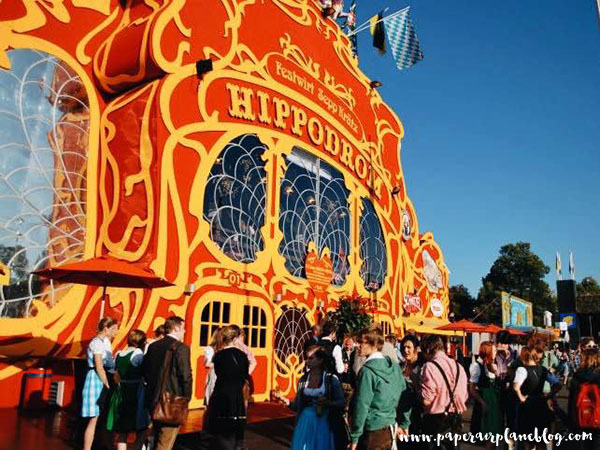 Oktoberfest is about to be one of the best times of your life. But where to begin? Here's The Paper Airplane self-help guide to having the best time Oktoberfest. 1. Research the tents ahead of time. You came all this way to experience all that is Oktoberfest and the chances are that you'll be here for the long haul. Do a little research on the personality of each tent and choose your own adventure. Are you looking for a traditional, family-friendly afternoon? There's a place for that. 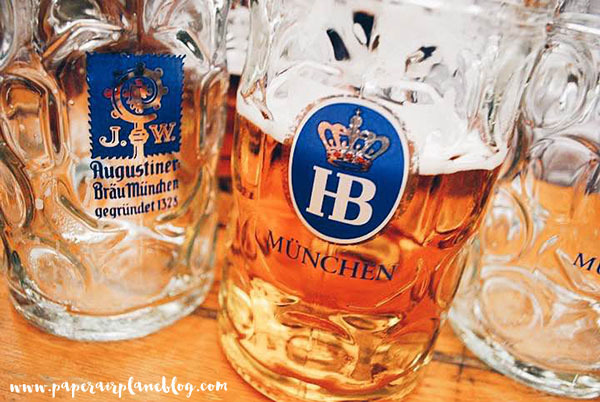 Or maybe you're looking to raise a stein with fellow twenty-somethings from all over the world? There's a place for that, too. (I had a blast at Hofbräu Festzelt.) Schottenhamel is a tent to note; it's where the Mayer of Munich taps the first keg to kick off the festivities. 2. Arrive early. The beer flows in the tents from 10 a.m. to 10:30 p.m. on weekdays and 9 a.m. to 10:30 p.m. on weekends. The halls fill up quickly and you will be forced to wait outside if it's at capacity. Tents typically close before 11 p.m. on the weekends. I'd recommend arriving no later than 8 a.m. if attending on a Saturday or Sunday. Entry to the festival and beer tents are free. Steins are roughly 10 euros each. 3. Make friends. The best part of the Oktoberfest is meeting a cross-section of people from all over the world. If you don't reserve a table in advance, you'll be sharing. Arrive in a good mood and be prepared to make friends as the tables fill up fast. Much to our surprise, John Denver's classic "Take Me Home Country Roads" is a huge hit at Oktoberfest. As the only Americans in our section, we traded teaching the lyrics to our new friends in exchange for them teaching us their country's drinking songs. (U.N., feel free to take notes.) It was a blast getting to know so many different people and we ended up keeping in touch with our friends for some time after the festival. **Additional tips for success: be respectful to the servers! They are the ones bringing you your steins, after all. 4. Know when enough's enough. One stein is a liter of beer. Hydrate with water. Take a break with your new friends and give up the table for a few hours. 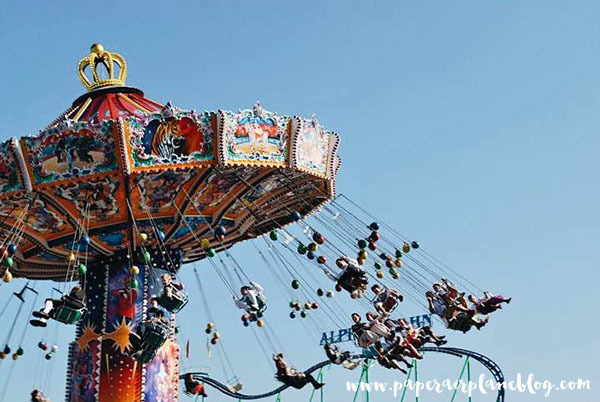 Try out a few of the carnival rides, which seem equally magical and adrenaline-pumping after a marathon day of drinking. Be sure to wander through the crowd, past the row of beer halls and climb the stairs to the monument at the end. Grab a bite to eat from any of the stands in the area and enjoy the entire scene from above. 5. Most importantly... HAVE FUN and PROST!